Have you ever tried quicos? They're toasted and popped dried corn kernels that are served salted as a bar or party snack. Commercially, they're sold as "Corn Nuts," though the good ones are the kind you can buy at gourmet markets or in the cheese section at Whole Foods, which taste fresher and miles better. It's a Spanish snack, and absolutely wonderful if you're the sort of person who loves salty, crunchy, toasted corn-flavored things. Sometimes quicos are also sold covered in chocolate and rolled in cocoa, and that's when I go absolutely wild for them. 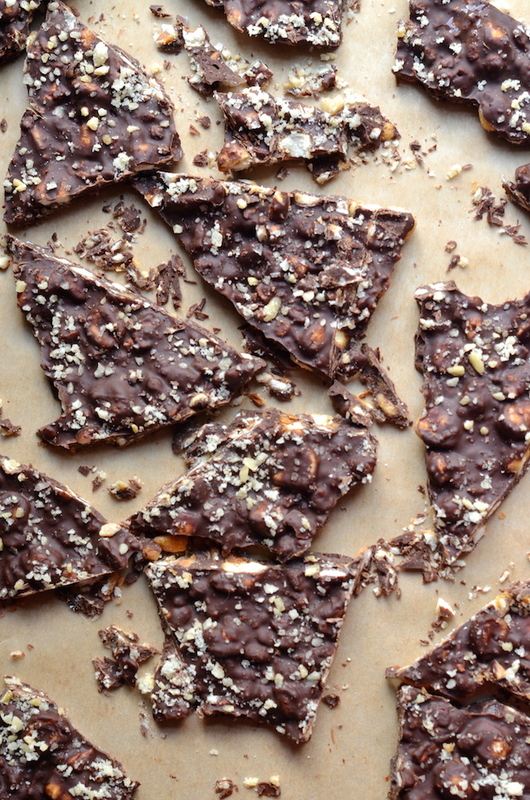 Because salt + chocolate? Best thing ever. 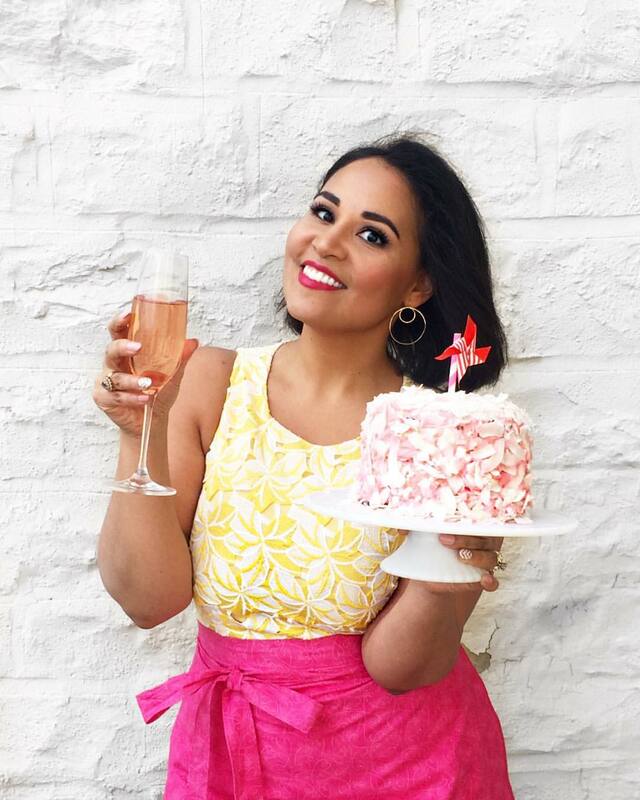 I've been wanting to do something with quicos on this blog for a while now, and it wasn't until this past week that I figured it out. Meet my Pop Bark! 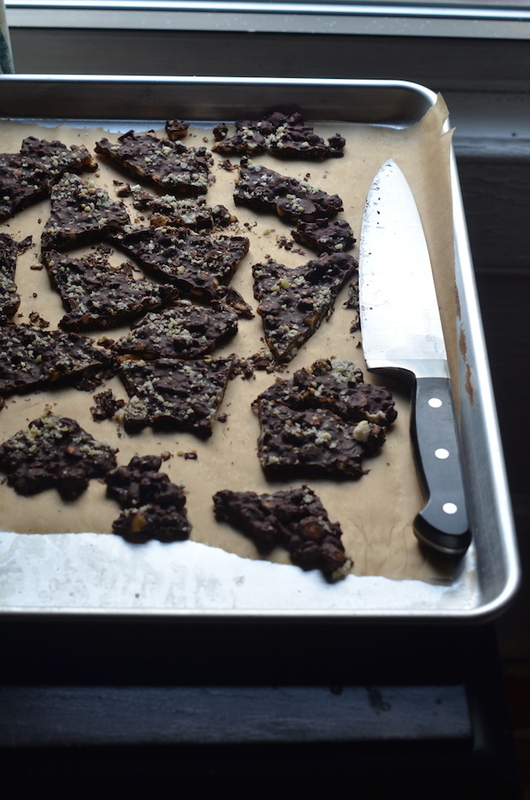 A dark chocolate bark filled with crushed quicos (or corn nuts) and sprinkled with popping sugar (ahem...also known as Pop Rocks). Crunchy, toastey, salty, sweet, and POPPING! If you can't find the popping sugar or Pop Rocks...just skip them. It's good with just the corn, too. 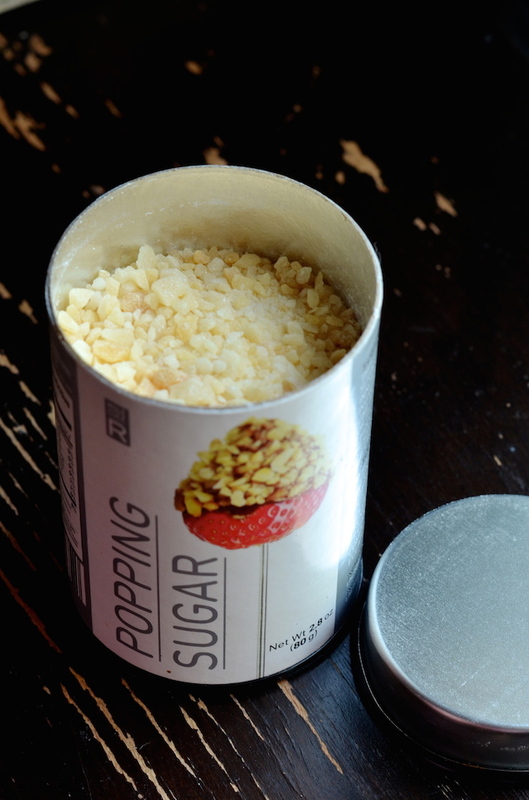 If you want, though, you can totally find the popping sugar (sometimes called popping crystals) on Amazon. Link is in the recipe below. 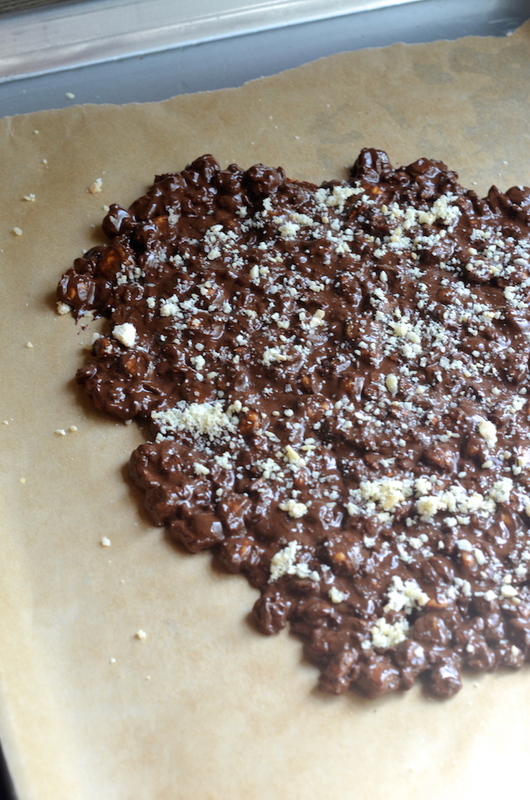 You can use whatever chocolate you prefer, but the darker stuff just seems to work nicely with the salty corn. 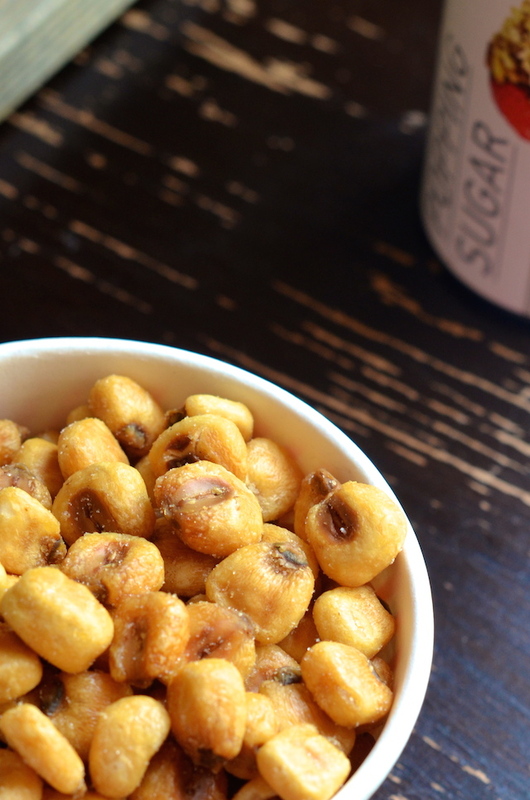 You can get quicos or corn nuts at Whole Foods and online (Amazon carries them, but other places do, too). You can also just use the original flavor Corn Nuts that you can probably find at the grocery store. This is super fun snacky treat food. This is friends over for a party food. This is munch on while you wait for dinner to be ready food. Place corn nuts in a food processor and crush slightly (you can also place in a bag and crush with a meat tenderizer or rolling pin). Place chocolate in a heat proof bowl, and microwave at 30 second intervals, stirring in between, until smooth and melted. Keep stirring to cool down slightly, then add the corn nuts. Spread out on the prepared baking sheet, then let cool at room temperature for about 10 minutes before sprinkling with salt and popping sugar. Place in fridge and let chill until hard--about 20 minutes.